The TC1046 is a linear output temperature sensor whose output voltage is directly proportional to measured temperature. The TC1046 can accurately measure temperature from -40C to +125C. The output voltage range for this device is typically 174 mV at -40C, 424 mV at 0C, 580 mV at +25C, and 1205 mV at +125C. A 6.25 mV/°C voltage slope allows for the wide temperature range. 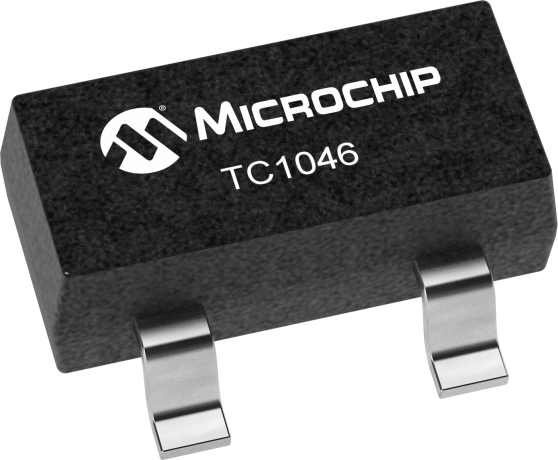 The TC1046 is packaged in space saving 3-Pin SOT-23B package, making it ideal for space critical applications.